The 1000-series numbers were assigned to major conversions and overhauls done at BIW after WWII. 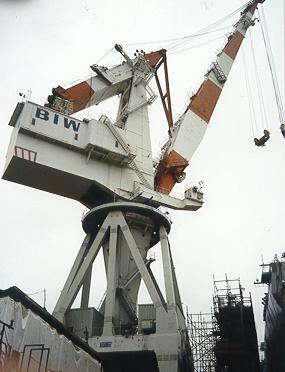 Minor refits and maintenance work accomplished at BIW were not assigned hull numbers. The 1800-series numbers were assigned to major overhauls and repairs done at BIW's Portland Ship Repair Facility. Some work on 1000-series ships (above) was accomplished at the Portland facility, as well as work on new-construction ships. Post Shakedown Availabilities (PSAs) are not listed. * = Contractual completion date. Actual completion date not available.